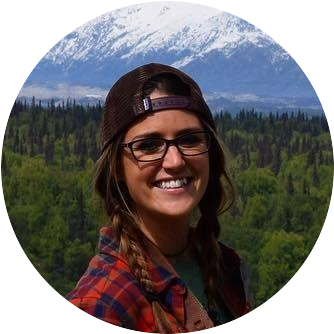 So you’re heading out for a nice hiking, skiing or hunting adventure in the winter. You know it’s going to be cold so you start going around the house trying to track down all your cold weather gear. Thick jacket, gloves, hat—check. Gaiter? We ask because perhaps this tiny piece of equipment is not on your list of essentials when heading out into the cold, but there are quite a few reasons why it should be. 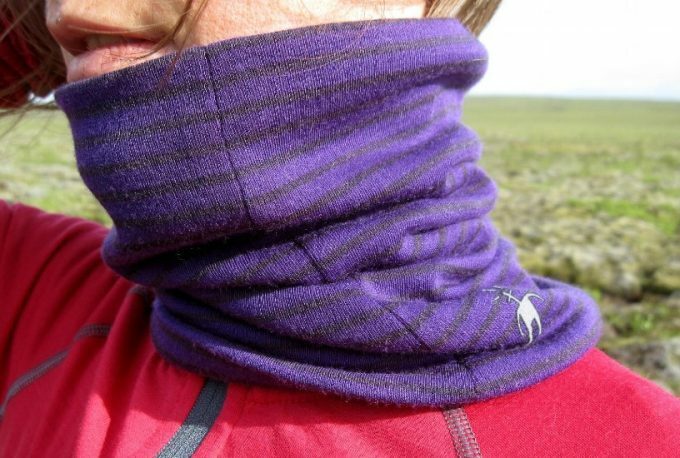 Keeping your neck warm while out in wintry conditions is essential, so we’re going to try and help you find the best neck gaiter for you. There really isn’t too much to it, it’s all about finding something that you will feel comfortable wearing for a long time and that will keep you warm. Nevertheless, it is important to take a little time to understand what differentiates the different products out there so that when it does come time to pick one up for yourself you will know you made the right choice. 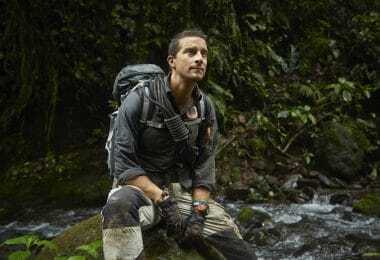 In this review, we are going to look at some important things to remember when searching for a gaiter as well as some of the top options on the market so you can get an idea as to what’s available. It’s kind of a strange word, we know, so there is a chance that you’re reading along right now wondering what it is that we’re talking about. A gaiter is a small piece of fabric that is sewn in a circle to be able to fit around your neck. It is very similar in function to a scarf but instead of being one long piece of fabric that you wrap around your neck and tie, it is one piece of cloth already sewn that you slip over your head and let rest on your neck. 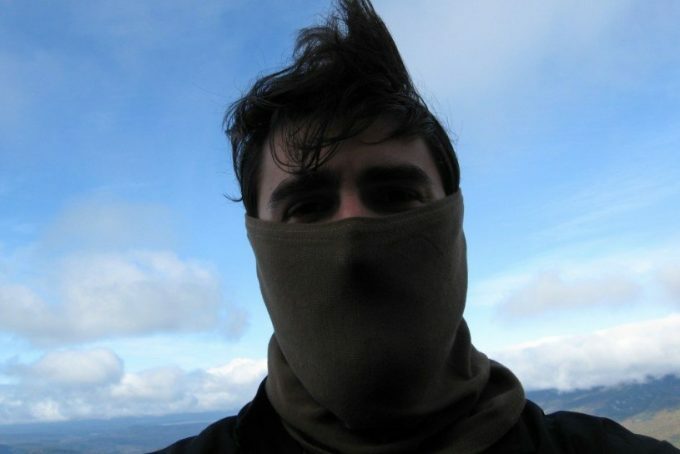 There are different styles of gaiters that help you cover more or less of your face, but the main purpose of this piece of equipment is to protect your neck and keep it warm. It is essential gear for skiers and snowboarders and is also excellent to have when doing other outdoor winter activities such as hiking, cross-country skiing, snowshoeing, hunting or even shoveling. This is particularly useful if you plan to be active while outside in the cold. Since a gaiter is just one piece of fabric that fits around your neck, you do not need to worry about it coming undone and falling off. Those who are heavy skiers or who enjoy long hikes in the winter know that this can be frustrating and usually results in you ripping off your scarf at some point and stuffing it in your bag. With a gaiter, you won’t have this problem. hose who wear scarves might have experienced how sometimes it can be a bit restricting. 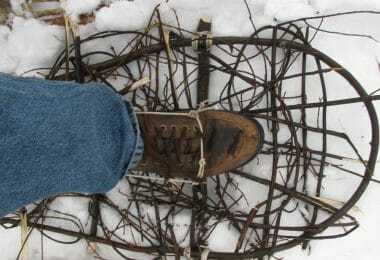 With gaiters, you don’t have this problem and you can move a lot more comfortably and freely. One nice thing that gaiters offer over scarves is that they can serve more than one purpose. 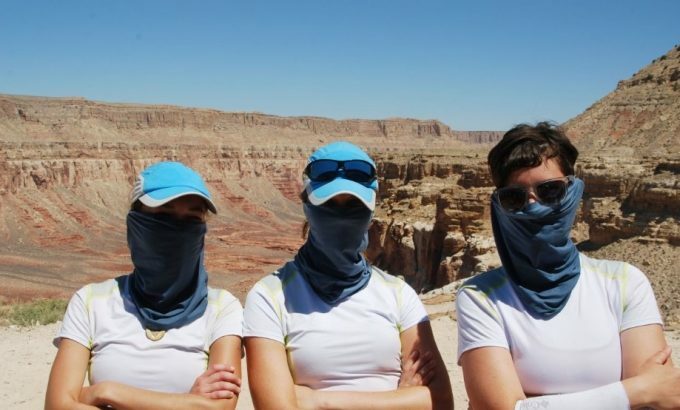 Strictly speaking, they are designed to cover your neck, but almost all options out there can be pulled up to fit over your mouth and protect your face. Also, most of what is available can be pulled up even further to fit over your ears. This multi-functionality is something you wouldn’t be able to have with a scarf and could be a good reason to make a switch in your equipment. There really isn’t much variation from product to product, but this is why it’s even more important to make sure you know what you are looking for. At first glance, many of the available options might seem very similar, but they really are not. They serve the same purpose but will do so in very different ways. Before looking more specifically at what is out there we are going to go over some general things to keep an eye out for as you search for this new outdoor wardrobe item. The cut of the gaiter will help determine how it is worn and what it can be used for. The main differences are really in how tight it is and also if it can be used as a hat or a face cover as well as neck protection. 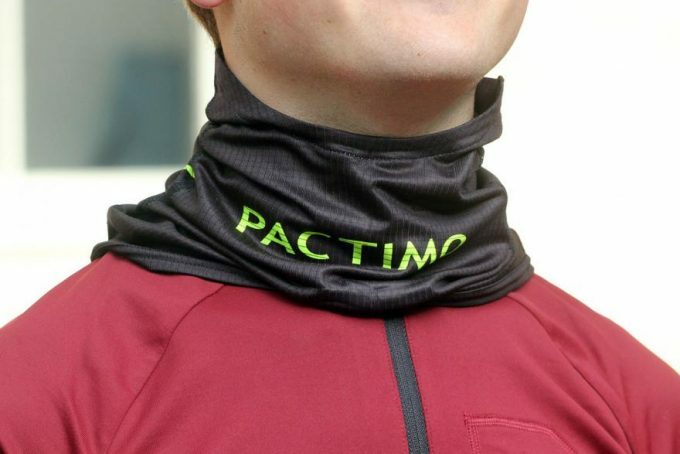 This is a pretty straightforward feature of neck gaiters, but still an important one to consider. Some will come with a tighter more athletic fit that will rest snugly against your neck and allow for freer motion and will be better for more those who plan to be more active. The other option is one that doesn’t fit tightly to your neck and instead surrounds it loosely. This might be a bit more comfortable for leisure activities and can also be warmer depending on the material from which they are made. We mentioned earlier that gaiters can come in different styles. Basically what differentiates them is if they can be used for more than one purpose. Some gaiters will be designed specifically for use around the neck. They will be smaller and fit tighter so that you cannot pull them up around your face or your ears. These are good for milder temperatures when you don’t think this kind of protection will be necessary. The other options will be designed to be used in multiple ways. The ones that can be used as a hat are convenient but remember they will have a hole cut in the top of them and therefore won’t be as warm as a traditional hat. Nevertheless, it is a nice feature to have and helps make your purchase more versatile. This natural fiber has been dubbed by some as nature’s warmest fabric. Whether or not this is true remains to be seen, but there is no doubt that wool will keep you warm. Most products like the ones we are looking at here will be made from merino wool, which is a special type of wool that is softer and less irritating to the skin. One key feature of wool is its resistance to water. It naturally wicks away moisture and stays dry on your skin. 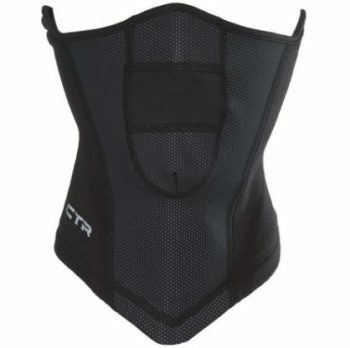 If you plan on pulling your gaiter up over your mouth and using it as face protection this might be a nice feature. Wool is also odor-resistant and does not catch fire easily (it self-dampens and requires severe exposure to burst into flame). All of these advantages help to make wool a solid choice of material for cold weather gear. Wool’s synthetic cousin, acrylic or fleece is a common material found in cold weather equipment. Its main advantage over wool is that it can be washed in the machine. Most wool needs to be dry-cleaned and although it resists odor, this can still be an inconvenience. Also, for some people wool produces a minor reaction and can be irritating and itchy on the skin. Acrylic resolves this problem and is much smoother. The main disadvantage of acrylic is that it is probably a little less warm than wool. Other than that, it is a comfortable alternative to wool that is often times a little bit less expensive as well. 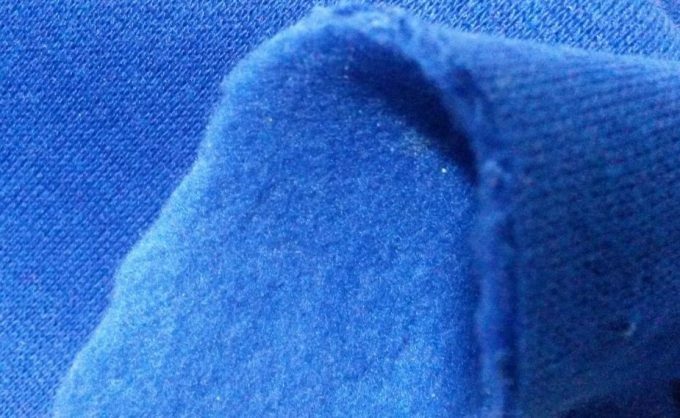 This type of fleece is made from the synthetic version of cotton. It too has the potential to be a bit smoother and softer against the skin. Also, it is a pretty light material that dries quickly when wet. This material, though, is not as warm as wool or acrylic and is really only appropriate for mild temperatures. If you’re heading out into something a bit more extreme you might want to look for something heavier and warmer. 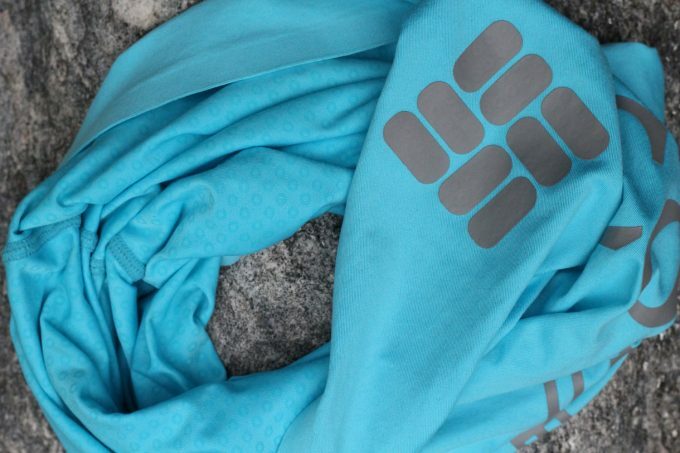 Now that we’ve had the chance to go over some of the basics of neck gaiters, let’s take a look at the specific options on the market and compare and contrast them so that you can get a better idea as to which one might be the best for you. Like we said earlier, they might seem somewhat similar, but a closer look reveals some key differences that will have a decent impact on how satisfied you are with your purchase. 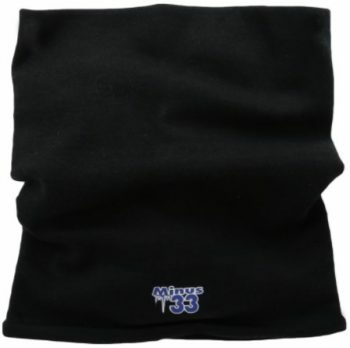 The tight, athletic fit of this Chaos Micro Fleece Neck Gaiter makes it a nice option for those who will be active while out in cold temperatures. It is designed to fit not only you neck but also part of your face so that you can protect your nose and mouth. What is nice about it is the special fabric that is used on the part covering your face. It is lighter and breathes easier so that moisture will not accumulate and make you colder. This product is best, though, when temperatures aren’t so extreme. It is made of polyester fleece, which is warm, but might not hold up to temperatures significantly below freezing. Also, the breathable fabric is nice for when you are active, but also gives you less protection. In general this is a quality product that will be extremely effective for almost any activity in moderately cold temperatures. 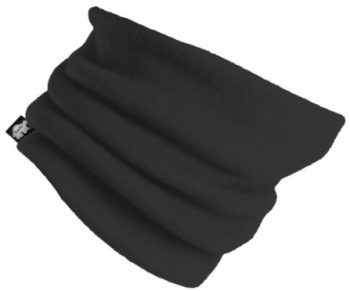 What helps make this Minus33 Merino Wool Neck Gaiter stand out is its versatility. It is rather large in circumference so it will fit almost anyone without any problem and because of its size it can be used for a variety of reasons. You can easily pull it up so that it covers your mouth and nose, but if this makes you warm you can bunch it up just on your neck. Also, if you forget your hat or need some extra protection on your ears you can pull this gaiter over them to help keep them out of the cold. It is important to note, though, that if you do this you will not be able to keep your neck covered. 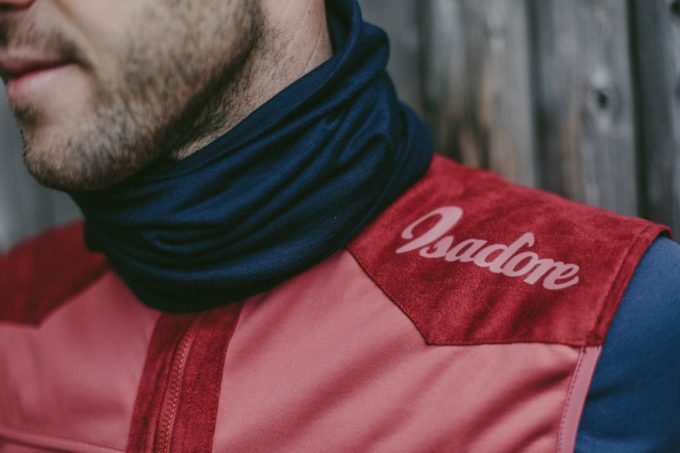 Since it is made from merino wool you can count on it being plenty warm and to protect you from temperatures as they pass the freezing mark and head lower. This comes along with wool’s natural wicking, which helps keep it dry and protecting. All in all, this is a great option for almost anyone looking for some neck protection for when they head out in the cold. 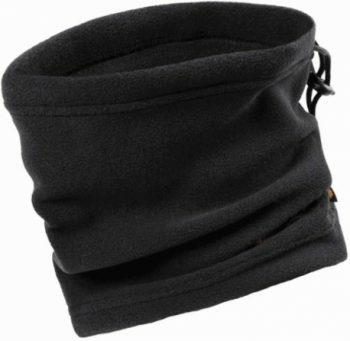 The first thing you notice about this Fleece Neck Warmer – Neck Gaiter is its style. The different prints that it comes with help to make it stand out against the traditional one color design you usually see from products like this. 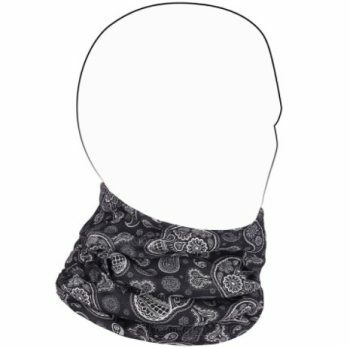 On top of this, this neck warmer is reversible so you can show the print side or a solid color if you feel like a change. This extra level of style makes this gaiter nice for more casual uses. However, it would also be decently effective in other situations. It is made from acrylic microfiber so that it is plenty warm and also relatively resistant to moisture. This combination makes it a nice option for protecting your neck when you are in mild to colder than normal temperatures. One thing to note is that this product fits rather tightly around your neck and therefore cannot be pulled up to cover your face or ears. 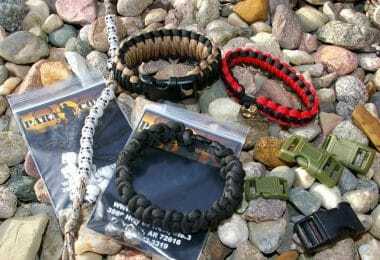 In general, though, it does the job nicely and could be a stylish addition to your outdoor gear collection. If your next skiing, hunting or hiking trip is going to include trying to survive in extremely cold temperatures, this might be the neck protection for you. This is largely because of how thick this Original Fleece Turtle’s Neck is. It is made of acrylic instead of natural wool, which means it is not as warm as it could be, but the double-layer design helps to make up for this and offers lots of protection against harsh temperatures. It fits relatively snugly so it can be pulled up over your mouth and nose, but not so far as to cover your ears. Additionally, it comes in over ten different colors so you can pick the one you like the most and know that you are staying warm while still keeping in style. 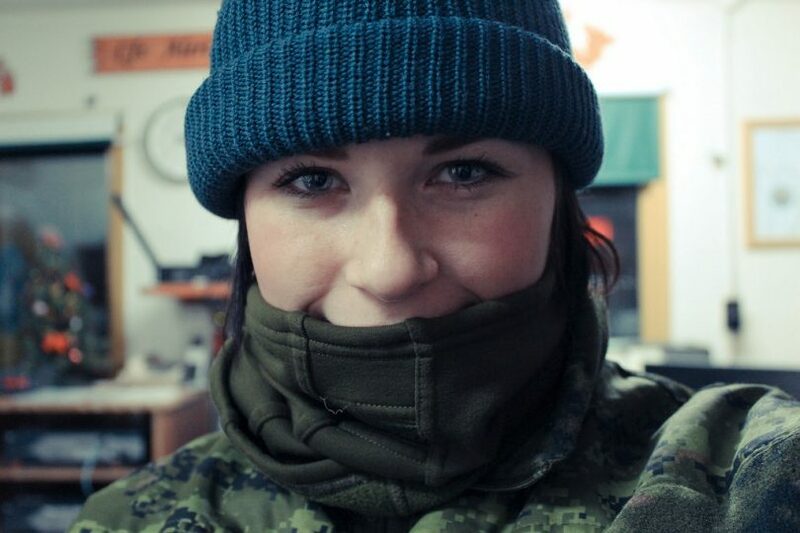 Moisture might be an issue because of the synthetic fiber, but in general, this is a nice way to stay warm and protected from the cold while out in extreme conditions. This is a great option because of its adjustability. 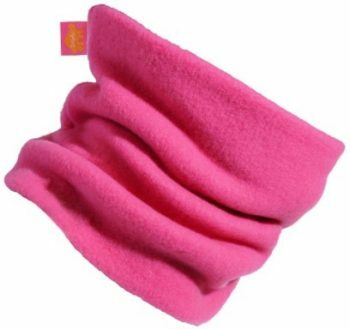 This Polar Fleece Neck Warmers Unisex comes with a string that can be pulled to help tighten or loosen the gaiter. What this means is that you can control completely how it fits. If you want it tight or loose around your neck depending on the activity you can have it by simply pulling a string. Also, if you want to use it on your ears you can pull it tight and not have to worry about it falling out. In general it is a pretty warm piece of equipment. The acrylic fleece mimics wool pretty good, but it falls short in terms of moisture wicking. If you pull this scarf up over your mouth for protection it will collect moisture and could become a nuisance. But because it is so customizable you can overcome this easily. For this reason, it is a great option for cold temperatures but when the activity level is minimal. When buying something that your kids will wear outside in the cold you want to be sure of one thing: it’s warm. This Original Fleece Kids – Turtle’s Neck Gaiter is just that. The thick acrylic fleece makes it noticeable warmer than some of the other options that we’ve looked at. It also fits rather snugly against the skin, which provides further warmth and protection. It can be pulled up to fit over the mouth and nose as well if temperatures should drop and make you search for more cover. The only thing to look out for is that this will collect moisture. If your kid is going to be running around a lot just know that it will come back wet and will likely need to be washed frequently. Luckily, though, the synthetic fiber means you can just throw it in the washing machine and later the dryer and it’s all set to be used again. Staying warm when outdoors in the winter is no joke. You should always take every precaution you can and make sure you have all the appropriate equipment. Bring more when you think you need less and don’t be afraid to call it quits if it gets too extreme. 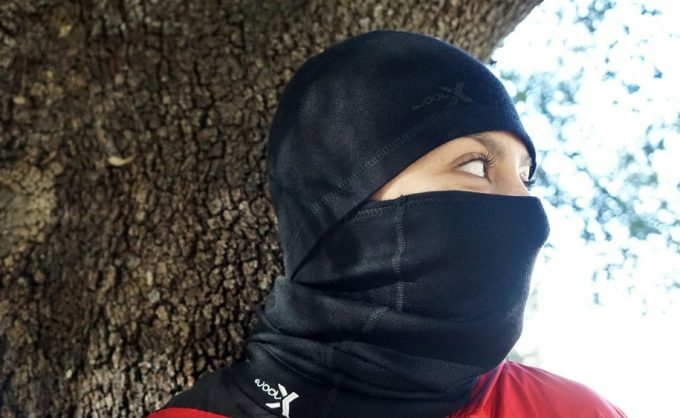 However, if you’re someone who doesn’t want to give up your outdoors life just because it is winter, a neck gaiter like one of the ones we discussed here could be just the thing you need. You can find relief from the wind and cold and not slow yourself down. Hopefully, the information provided here has made that clear and has helped you determine which option might be best for you. If you have any experience with any of the products listed here or if you have some tips for staying warm that we haven’t covered, please send the information our way. We are always looking for new ways to conquer Mother Nature and stay outdoors even when it’s cold. So grab your gaiter and whatever other gear you might need, wrap yourself up nicely and go enjoy the wonderful outdoors.